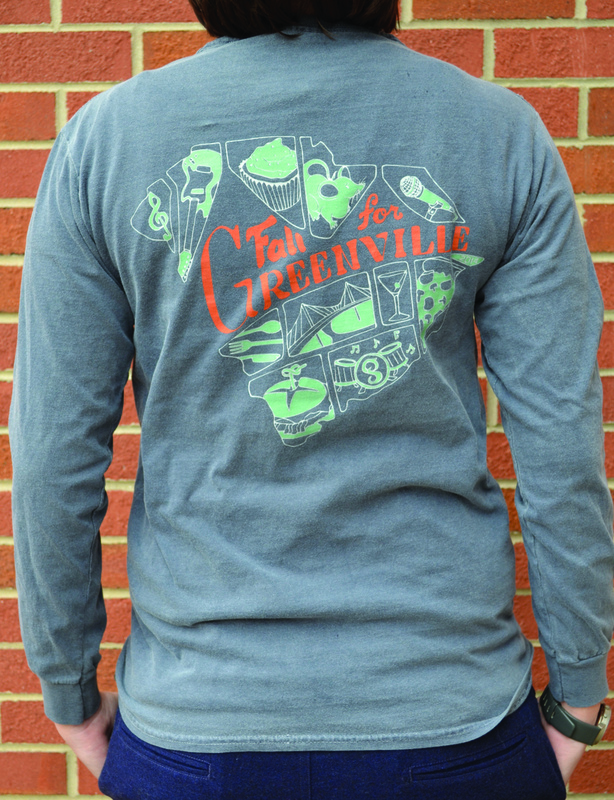 Design and submit visual solutions for the 2014 Fall For Greenville T-Shirt Design Contest in Greenville, South Carolina. Fall For Greenville is the biggest event Greenville, South Carolina experiences all year. It is a chance to showcase the best things Greenville has to offer in an outdoor festival that is so popular people travel states to visit. The festival is all about the food, music, and family fun experiences that can be found in the heart of Greenville. I created three separate designs for the City of Greenville’s festival. 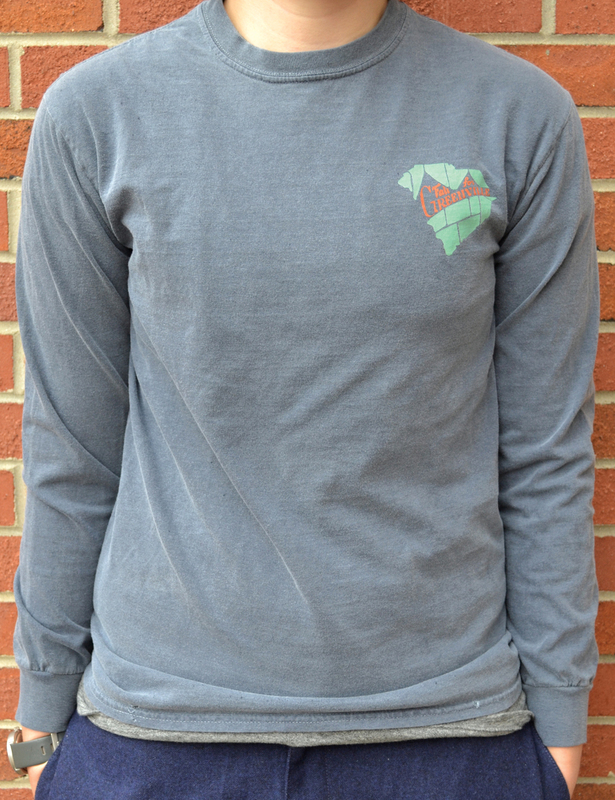 The first is an adult design, representing the South Carolina state shape separated into different items relevant to food, drink, and play in the festival. The second is the children’s shirt, containing a fun illustration of the well-loved Mice on Main having a grand time on the Liberty Bridge in Falls Park. The final shirt was commissioned after I won the contest, in which I made a shirt celebrating all of the restaurants and bands that participated in the 2014 event.